All we ask for from our referral sources is that you are honest and that you provide us with access to the client when the time is right. We cannot help your client if we do not know all of the facts or have all of the information. The quickest way to kill a loan opportunity is to present it to an end-lender with the wrong facts. Eventually in order to secure the deal and get it closed, we will need access to the client. However, we can assure you we will always work to protect our commercial mortgage and commercial loan broker relationships, and per our referral agreement, you will be protected and will get paid when we get paid. 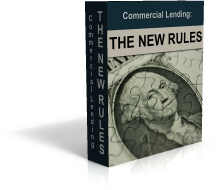 When working with Commercial Lending X, you don’t ever have to worry about your clients getting taken advantage of. We do not charge any up-front fees, and we get paid on a “Success Fee” basis, meaning we don’t get paid until the loan closes. That also ensures we won’t take on loan requests that we are not confident we can get done, meaning we won’t waste the client’s time or your time. We will always be honest with you and your client regarding where we are at in the process, and will work to give them the best commercial financing experience we possibly can. We pride ourselves on solid communication and superior customer service. Please never hesitate to contact us to run a deal by us or to find out about current commercial mortgage rates at 888.975.0007 or via email at info@commerciallendingx.com. If you prefer, you can complete our online application and one of our highly trained lenders will contact you directly to discuss this opportunity. We have a proven track record of working with commercial lenders and commercial mortgage brokers as well as other referral sources. Thank you again for your interest in working with us.